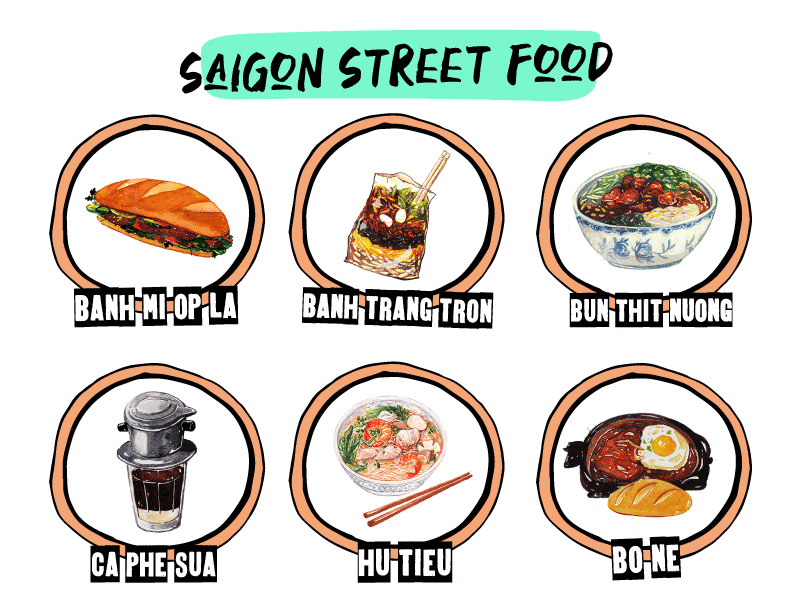 What do you know about Saigon street food? Go beyond the world of pho to learn about all the Saigonese dishes being sizzled up that you may not know of—and the best places to find them in Ho Chi Minh City. 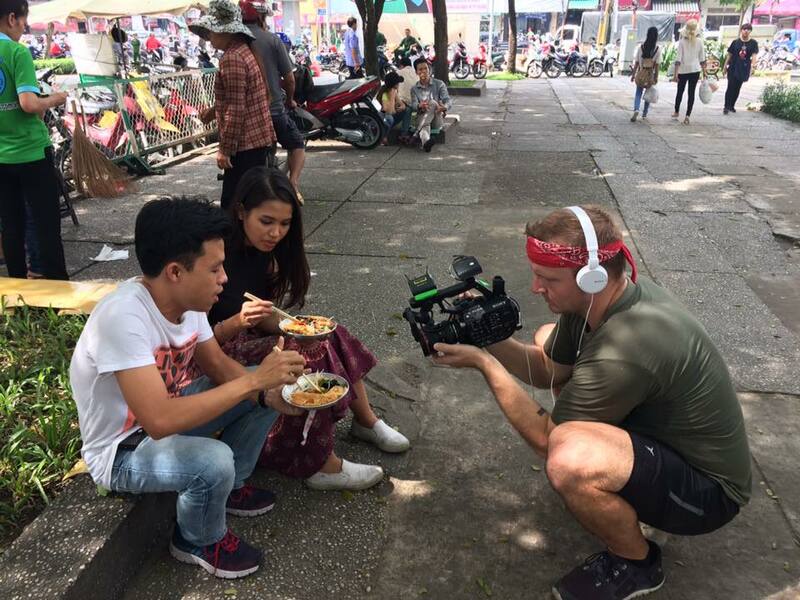 In 2016, I partnered up with hospitality brand, Christina’s Vietnam, to host a 13-episode Saigon street food series, under the direction of Youtube sensation, Sonny of the Best Ever Food Review Show. 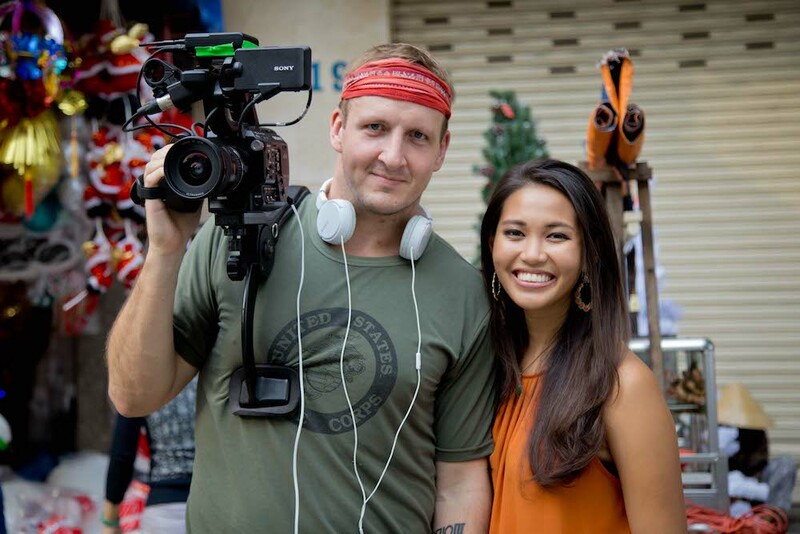 In each episode, I was paired up with local Saigonese youth who would play tour guide and introduce me to their favorite street food haunts. 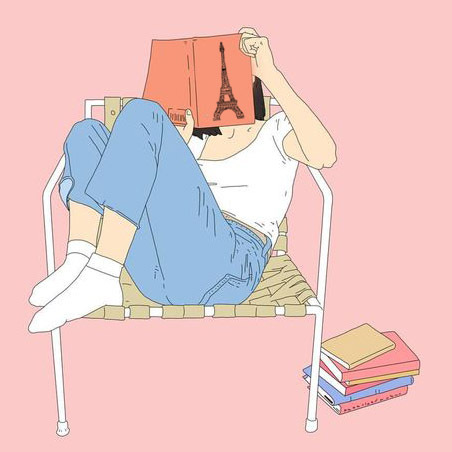 Usually, the locations were childhood favorites—where their parents used to take them, or the places they would frequent during their college days. Some of the locations I visited were really underground, but we also got to visit some vendors that had amassed cult status in local circles. While I would love to share every video, 13 embedded videos would crash your servers. So I’ll be serving up my five favorite episodes and why these street foods should be on your radars, along with the links to every episode down below and some more dishes you need to seek out. 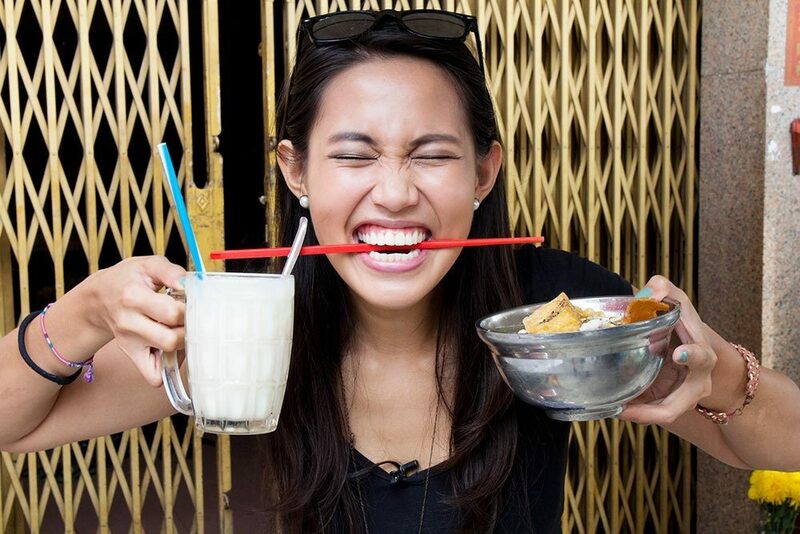 Get ready for the the crunchiest banh xeo, mammoth-sized mountains of com tam, and drinking the purest Vietnamese coffee in Ho Chi Minh City! 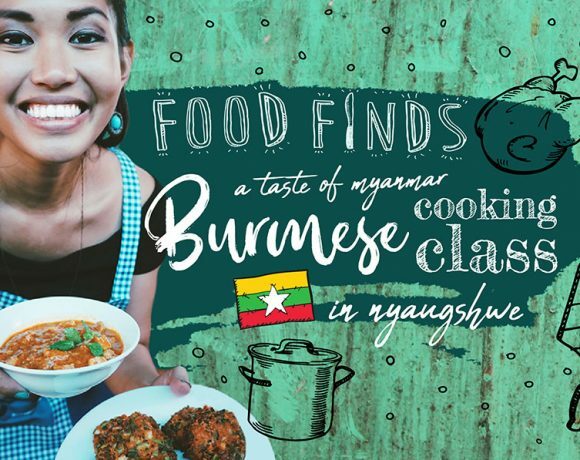 Interested in learning more about Vietnamese food? 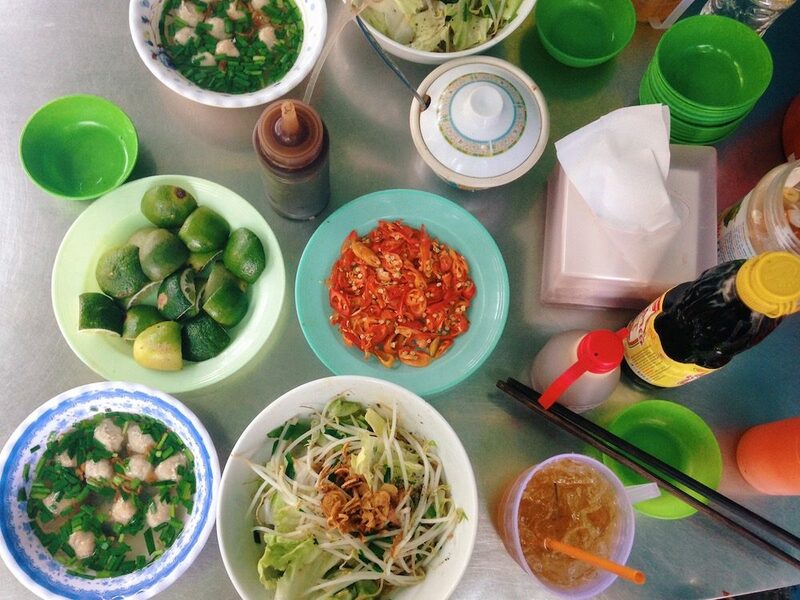 Humble in origin, com tam is arguably the most prevalent street food in the nation. Com tam refers to the broken morsels of rice that are the heart of this meal. Instead of disposing of imperfect grains in the harvest, farmers would collect the “broken rice” to use for their own meals. Today, working class families power up on this this protein-packed meal, served with caramelized pork chops, garlic chive oil, sliced cucumber and carrots, and a fried egg. You can also order it with steamed egg cake called trung hap. Learn more. Why is it special? As a food of the masses, this com tam always sells out daily and has massive servings. Heralded “the Vietnamese pizza”, banh trang nuong is a relative newcomer to the street food scene. Piecemealing bits and bobs from global foodways (ie. 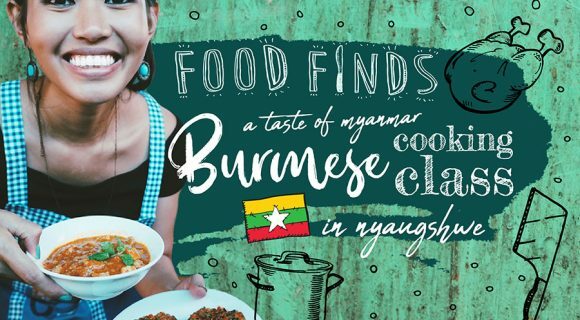 cheese from Italy, rice paper form Vietnam, canned meats from US infantry), the Saigonese have delivered a fusion dish for modern eaters. This light snack is essentially a buttered up rice paper sheet, which is then toasted, and topped with pork floss, dried shrimp, chopped scallions, spicy-sweet chili sauce, and to bind all these ingredients, quail egg yolk. You can eat it folded, like a turnover, or open-faced, like a pizza. Learn more. But there may be better… When I first came to Saigon, I discovered the District 3 local hangout, Turtle Lake. You’ll see banh trang nuong being grilled up on baby braziers, although when the police are nearby, the vendors start packing up as their pop-up stalls are prohibited. You can also find banh trang tron at Turtle Lake (see below). While the drip coffee (ca phe phin) filtration method reigns supreme in Vietnam, there are alternative methods of coffee filtration that have become somewhat of an art form thanks to their rarity. One of these techniques is net-filtered coffee, a coffee brewing technique that uses a fine net to filter out any sediments, yielding one of the purest brews you’ll ever taste. Only a handful of cafes still brew coffee this way, and one of them happens to be the oldest cafe in cafe in all of Saigon. The family-owned business has been operating 24/7 for 60 years straight by husband and wife, Dan Trang Con (Mr. Ba) and Tuyet. 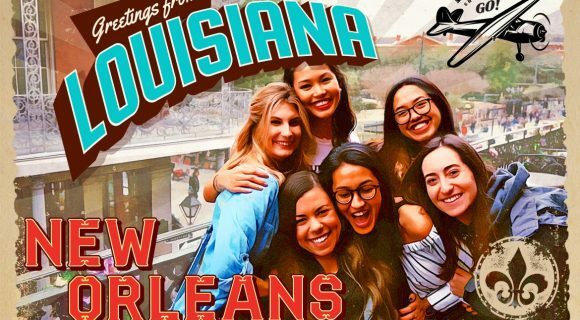 If you’re a coffee snob, this experience is sure to impress. Learn more. Why is it special? To preserve the coffee’s integrity, the shopkeep use extra-purified water, sterilized in shop, and make sure they wash all glasses in that same unsullied water. Goi kho bo, or goi du du, is julienned green papaya, dressed with beef jerky and roasted peanuts, with bright notes of Thai basil and Vietnamese coriander. The shredded papaya salad from a world famous street hawker parked across Le Van Tam Park, is a bedlam of flavors and textures. From the crunch of the croutons, to the acidity of a saucy dressing, the snap of the toasted peanuts, and the crispness of the unripe papaya, this is the perfect midday treat. Learn more. Why is it special? The dressing for the salad is top-secret and food junkies have been arguing for years on what makes the dressing so special, but the owners have never disclosed the recipe to anyone. Banh xeo, directly translating into, “sizzling cake,” is a dish made to be eaten with your hands. You’ll hear banh xeo frying in a wok long before you set sights on it, although its vibrant yellow hue makes the eating experience all the more sensory. The paper-thin rice crepe look-a-likes, rank high on my list of favorite Vietnamese food. A traditional banh xeo is filled with pork, prawns, and bean sprouts, is garnished with a basket of fresh herbs, and is accompanied by nuoc cham (Vietnamese fish sauce.) 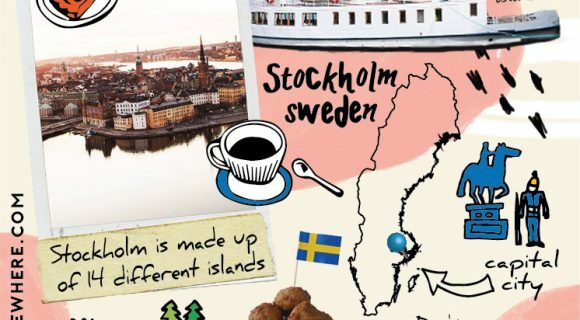 While there are many regional interpretations, Learn more. Why is it special? They mix their rice batter with coconut milk for extra richness and so that the better fries more evenly. It’s so flaky! WHAT ELSE SHOULD YOU ORDER? 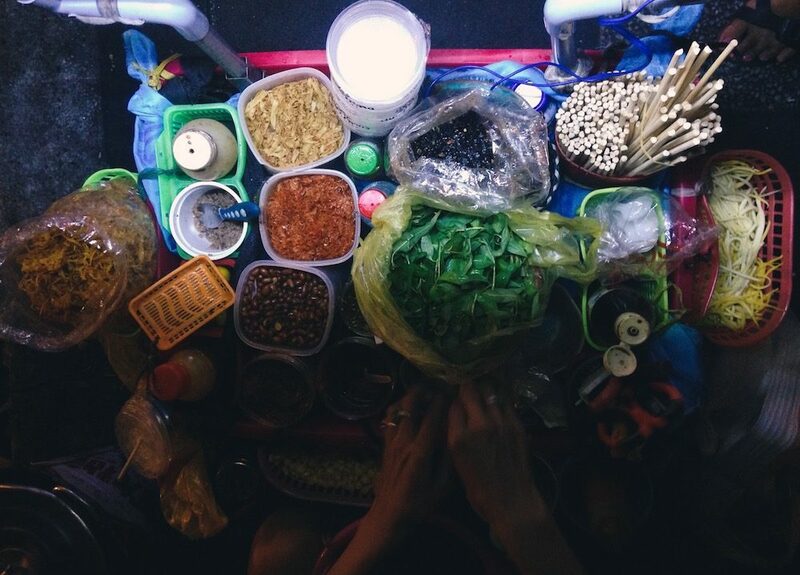 There is a huge variety of street food to choose from in Saigon. A typical dish costs between 20,000 and 50,000 VND (~US$.90 – $2.50). If your stomach allows it, go on a food crawl, sampling a little bit of everything. 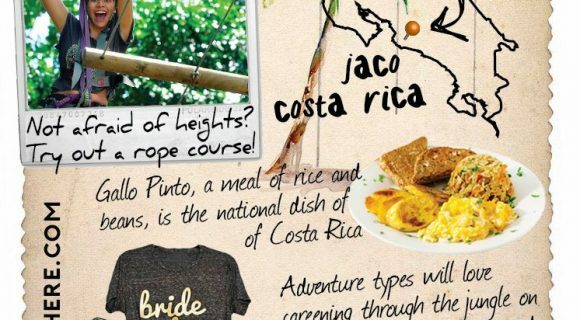 These are some other notable dishes, with the places you should go, and the places where I was a regular. Shout out to KAA Studio for these amazing food illustrations of Saigon classics. Banh mi op la is a fried egg and a dash of soy sauce sandwiched between French baguettes baked with part rice flour, part wheat flour. 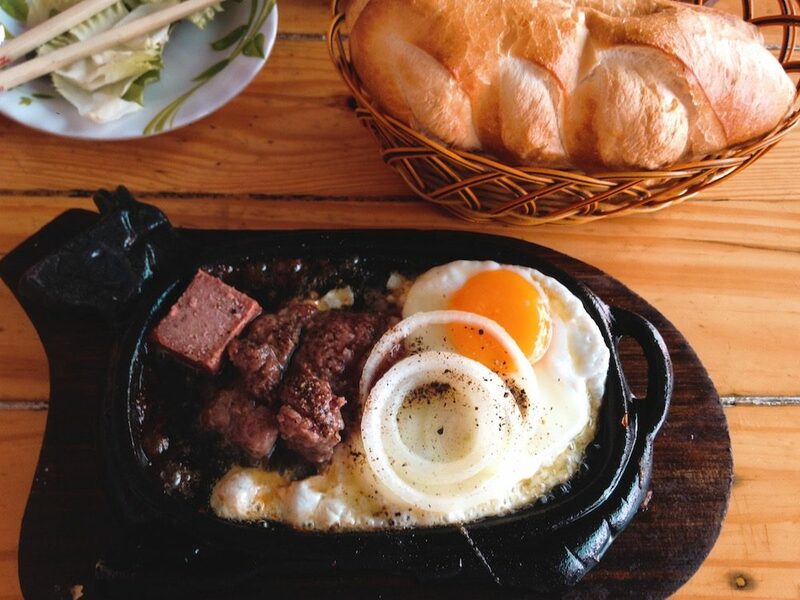 It’s an easy, handheld breakfast and costs 10,000 – 20,000 VND, depending on how many eggs you ask for. For a more local take: If you see a banh mi vendor selling op la from a cart, go and support. 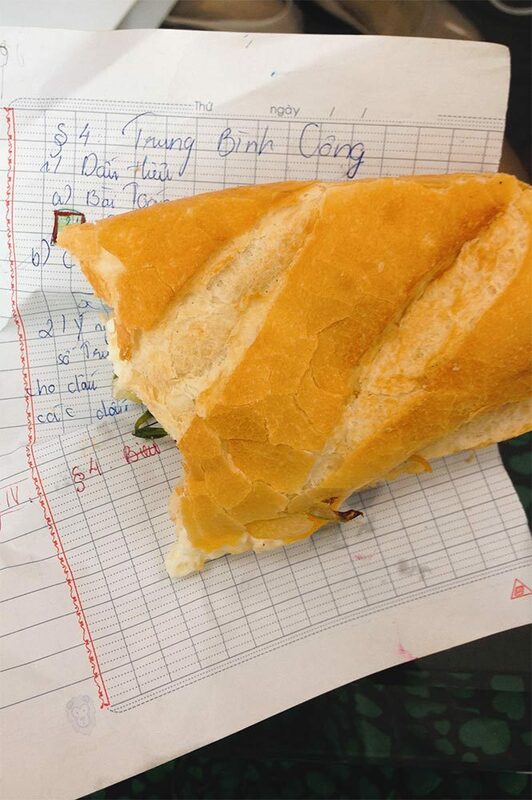 Usually the banh mis come wrapped in recycled newspaper clippings and children’s homework. They are only 20,000 VND. A deconstructed version of banh trang nuong (Vietnamese pizza), banh trang tron is a portable snack. All the ingredients of the banh trang nuong are layered one by one, with strips of dry rice paper interspersed in the mix. It’s served in small plastic along with chopsticks. 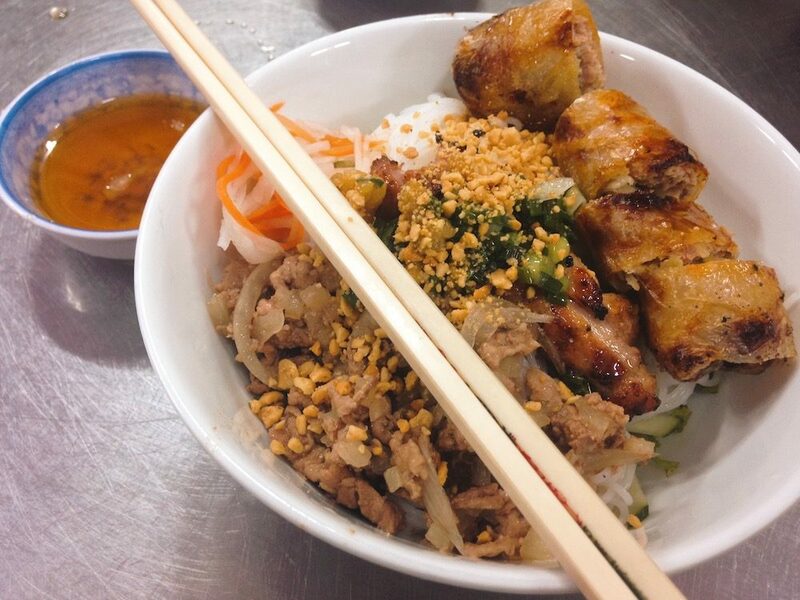 Bun thit nuong is a noodle bowl sans broth, consisting of thick rice vermicelli, topped with barbecued pork, fresh herbs, crushed peanuts, and cut up fried meat spring rolls called cha gio. The dressing is the country’s most widely enjoyed condiment, nuoc cham, made out of garlic, chili, sugar, lime juice, and fish sauce. Pour the nuoc cham all over the dry ingredients and enjoy each portion of the meal standalone, before mixing all the rogue parts for a heavenly banquet of flavors. My neighborhood hole-in-the-wall: Cà Phê Nguyên Chất on 90 Trần Đình Xu; one glass is 10,000 VND ($US.50). Limited English. Each region of Vietnam has their own noodle dish. With neighboring Cambodia so close to Ho Chi Minh City, you’ll find hu tieu, the Vietnamese take on the Cambodian kuy teav. The pork stock base is sweetened with cane sugar and comes with thin rice noodles. You can order this meal “wet” (hu tieu nuoc) or “dry” (hu tieu kho). The “wet” version is a soup serving, while the “dry” version is more like a warm salad with noodles and toppings. If you want the Cambodian inspired hu tieu, ask for hu tieu nam vang. Bo ne, or spitting beef, earned its name from the oil that flies off the hot cow-shaped plate that this breakfast food is served on. The order usually comes with a nugget of pate, fried egg, and some cheap cuts of beef, served with some onion and fresh lettuce. 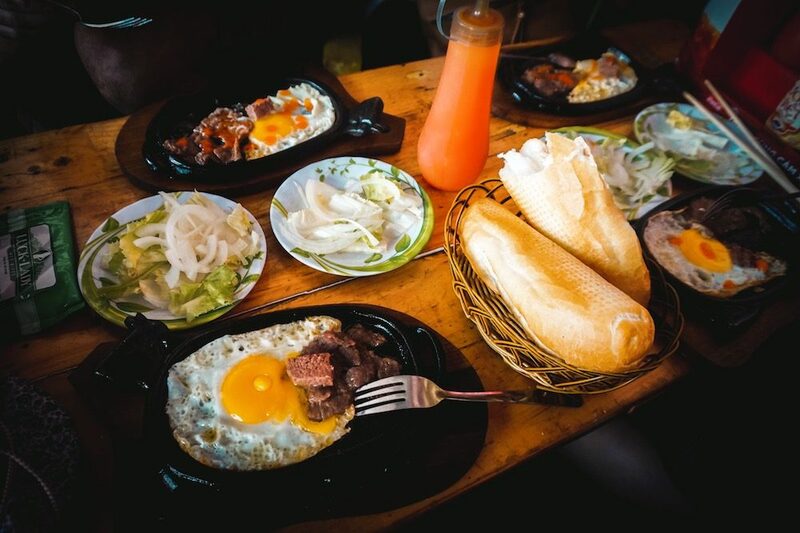 You can add trung ot, or mild chili sauce to the mix, and dip the baguette into the saucy, oily mix for a true Vietnamese-style breakfast of champions. 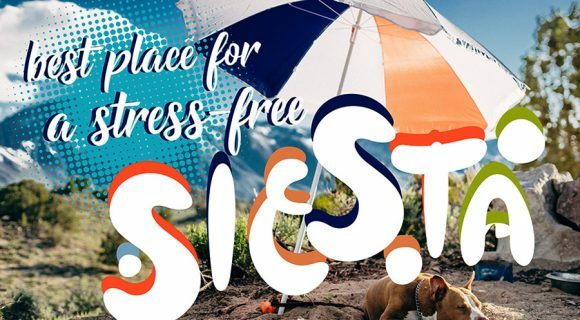 Here are all the links for the other Onetrip Street Feast episodes I hosted with general food information, history about the eatery, the price, and the address. Click on the name of the food to watch the episode. Cambodia Sweet Soup Dessert (Che Campuchia) – A soup-esque dessert served with shaved ice, evaporated milk, candied jellies, and pumpkin puree. Vegetarian Food (Mon Chay) – Family-style vegetarian small plates catering to practicing Buddhists, at the oldest vegetarian restaurant in Saigon. Red Noodles (Bun Do) – A thick vermicelli noodle soup reddened with annatto paste. Clam Noodles (Mi Hen) – A wheat noodle (ramen) seafood soup filled with clams, octopus, and ark clams. Fried Rice Cakes (Bot Chien) – Chinese-inspired rice flour cakes, marinated in soy sauce, and pan fried with eggs. 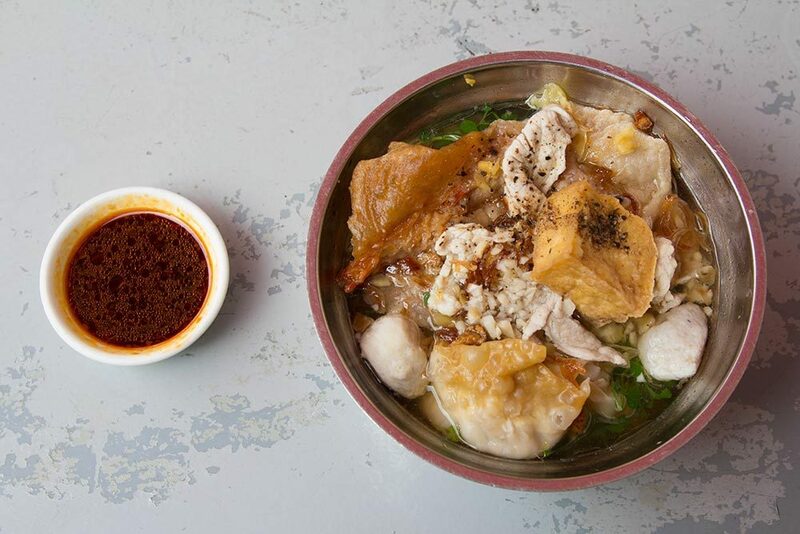 Breakfast Noodle Soup (Bun Mi Vang) – A Chinese breakfast noodle soup made with two types of noodles, and served with fried dumplings, shrimp cakes, and fish balls, and finished with pickled minced garlic. Comes with warm soy milk. Do not pour soy sauce condiment into soup bowl; it is meant for dipping the meat into. Tapioca Crab Noodles (Banh Canh Cua) – A bowl of tapioca noodles swimming in crab-based broth and topped with shelled shrimp, with a side of cut up fried dough sticks called gio chao quay. Fresh Spring Rolls (Nem Cuon) – Nem cuon is a fresh spring roll, stuffed with grilled meats, mint leaves, rice vermicelli, and shrimp crackers. While other bloggers may caution you about trying street food due to sanitary concerns, I am not one of those bloggers. 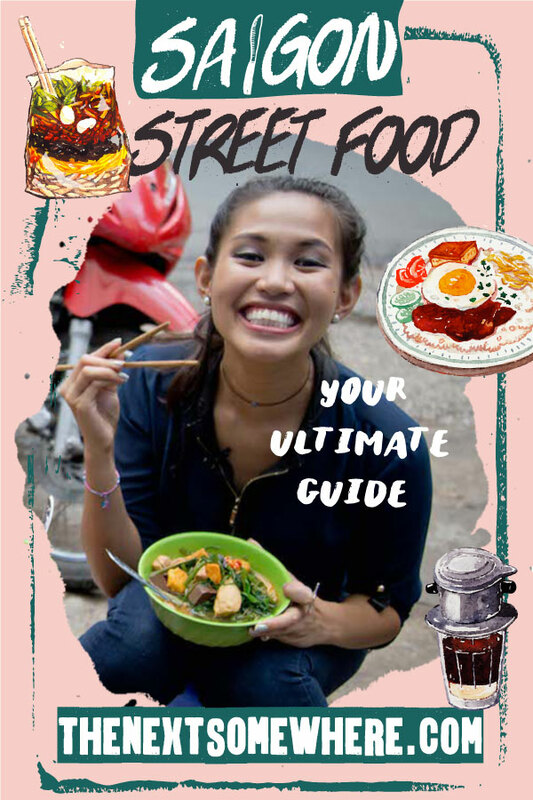 However, I will give you some tips to make your street food experiences more enjoyable, wherever you are in Ho Chi Minh City. The Lunch Lady is arguably Saigon’s most famous street food proprietor (made famous by Anthony Bourdain) and she has a rotating lunch menu. You can find an illustrated guide to all her dishes here. Noodle soups are typically eaten as breakfast. 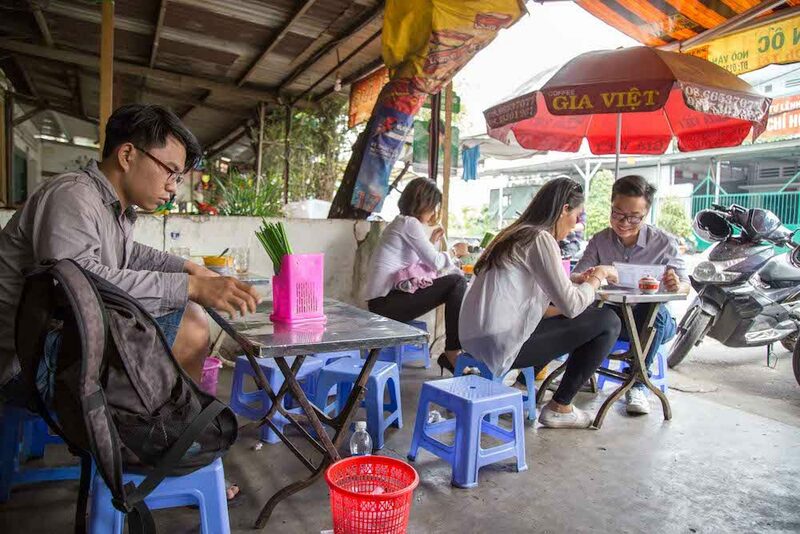 Tipping is not a part of street food culture in Vietnam, although if ever I got exceptional service or was a regular customer, I would try to leave an extra 5,000 – 10,000 VND. Most street food can be easily prepared vegetarian. Just tack on the word “chay” to the meal (ex. banh mi chay). 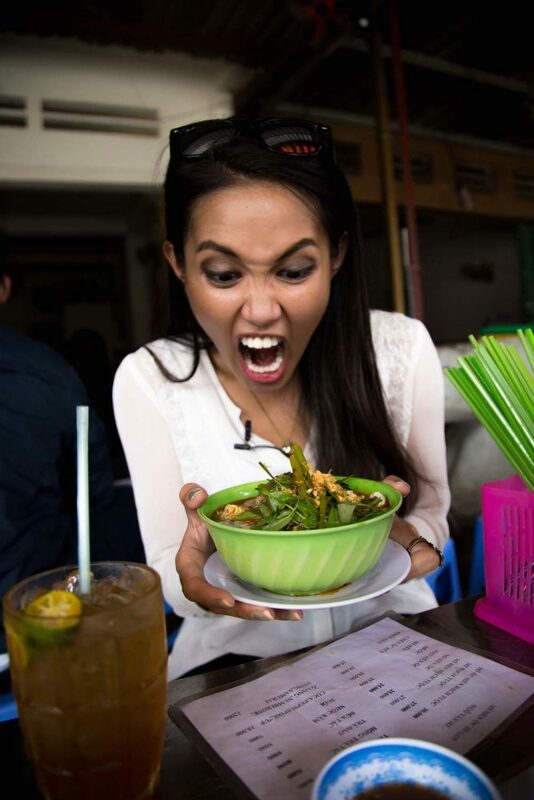 You can find a guide on how to eat vegetarian in Vietnam here. Tra da (unsweetened iced tea) is a complimentary beverage—or very minimally priced in some instances—served in lieu of water, but equally refreshing. Tiny stools are ubiquitous when it comes to street food dining, so prepare to squat and hunch. There is a heavy-handed use of sugar as a culinary preference in the south so if you feel like your food is too sweet, its not you. 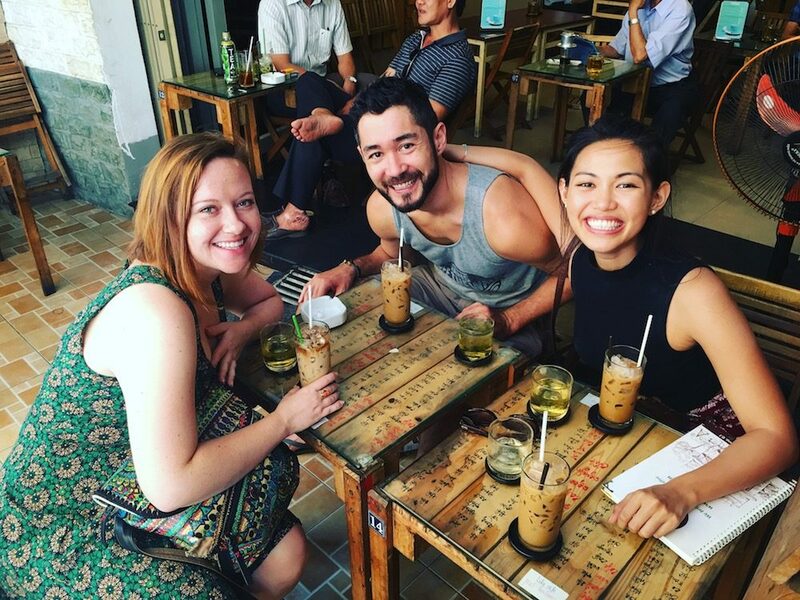 If you order a black coffee, by default it is served with sugar, so to ask for no sugar, say “khong duong” (pronounced khohm-duom). Fancy some Oc? 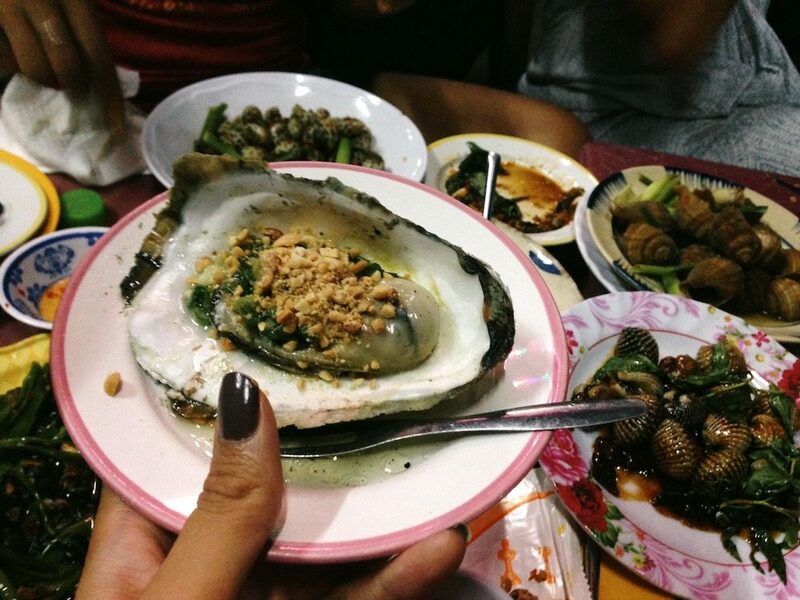 Oc, or snails, is a street food delicacy in Saigon, and also encompasses all shellfish like clams and scallops. My favorite oc dish is scallops with chive oil. Wet napkins are not free to use and the restaurant owner will not tell you that beforehand, so don’t be shocked if you see it on your bill. 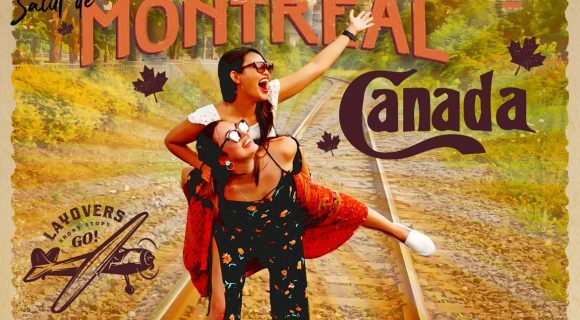 You can visit all the locations from the Street Feast episodes on a Onetrip food tour! 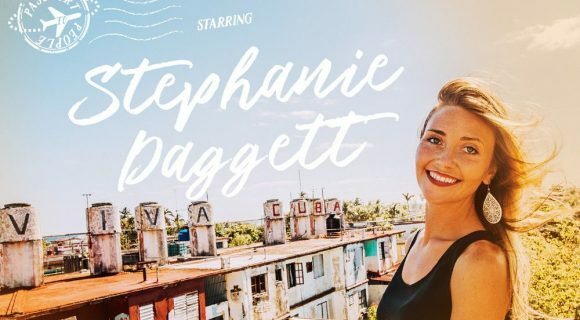 I honestly love this immensely passionate and hardworking team and I guarantee you’ll be more appreciative of Vietnam’s culinary offerings on this guided adventure by way of motorbike. Any other Saigon street food I failed to list? Who wants to share their firsthand experiences? Comment below! Yummy! 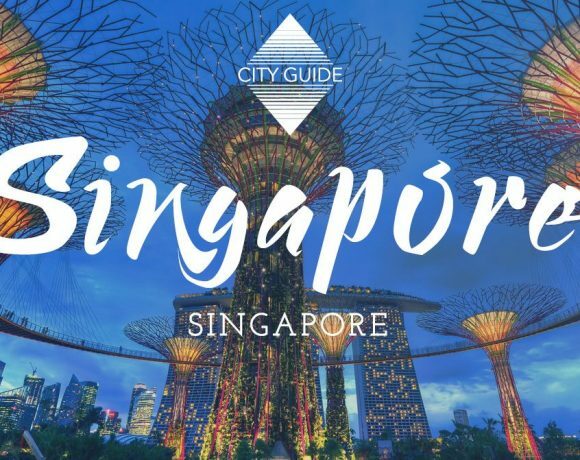 Makes me want to visit Saigon! 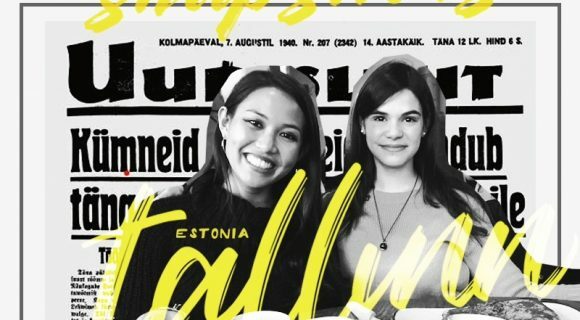 Great read too! Thanks Jim! I hope you get to visit Saigon one day! THIS IS AMAZING. 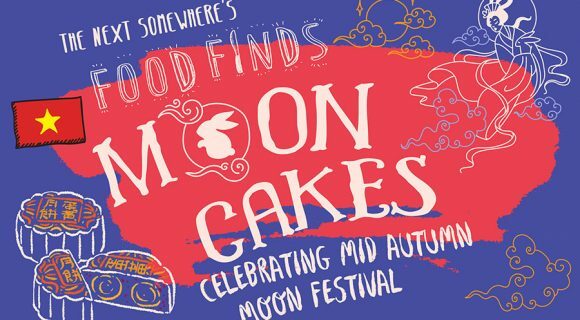 I’ve just shared it with Saigon people and can’t wait to hunt down some of your recommendations!! THANK YOU FOR SINGING YOUR PRAISES! I have been so inspired by your continued endorsement for street food so this compliment means so, sooo much to me!